Vegas Spins Casino takes you into Chinese mythology, which allows you to come face to face with one of the most majestic creatures, Chinese bearded dragons! Launch the game on your mobile, desktop or tablet, and watch wild symbols, bonus symbols, free spins, and stacked reels come into play! Enjoy these features, as you never know how big the outcome is! As for symbols, find Red Dragons, Blue Dragons, Purple Dragons, Green Dragons, A, K, Q, J and 10 landing on your reels to trigger big wins! The aim of the game is to form winning combinations from left to right of the slot game to trigger a cash prize! Initiate your gameplay by first setting your bets on the Stake Field. When you’re done, click the Spin button to get spinning! The autoplay option is at hand, and lets you play Dragon Spins slot handsfree! Coin Values: Set your stakes from the £0.30 to maximum of £1.80. 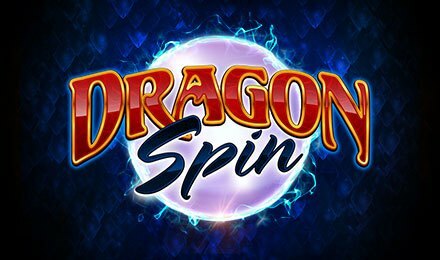 The wild of Dragon Spin slot is the WILD symbol itself, which replaces all other symbols except the bonus symbol. The wild symbol helps complete combinations to trigger a win. The Bonus symbol is the Green Gem symbol, which triggers a bonus round. Before every spin is played, reels that have stacked mystery symbols on them are replaced with two to three random symbols. Here, all mystery symbols are replaced by the same symbols bar the Bonus Symbol. Raining Wilds: 5 free spins are awarded, plus up to 10 wilds are added to the reels per spin. Persisting Wilds: : 5 spins are triggered with wild symbols locking into place for the remaining spins. The number of added wilds increases with every spin, reaching up to seven. Reel Blast: : 5 free spins are played on three-reel sets. The middle one covers reels two, three and four.